The West African Examinations Council invites applications from suitably qualified Nigerians to fill the under-mentioned vacancies. Preference would be given to applicants from the following States: Adamawa, Bauchi, Bayelsa, Benue, Borno, Ebonyi, Gombe, Jigawa, Kaduna, Kano, Katsina, Kebbi, Nasarawa, Niger, Sokoto, Taraba, Yobe and Zamfara. Applicants must possess five (5) credits in SSCE/WASSCE including English Language and Mathematics at a sitting or six (6) credits at not more than two (2) sittings including English Language and Mathematics. Possession of First Degree or HND from any recognized Institution and NYSC discharge certificate. Remuneration paid by the Council is competitive. Our internships are a unique opportunity for students to contribute and learn new skills as P&G gives them meaningful projects to lead from day one. Step 1: Application online at www.experiencepg.com. Strong skills in leadership, and excellent in communication. KPMG is a fascinating and truly global organization made up of outstanding people with a broad range of interests, talents and motivations. Our clients are drawn from every sector of business and industry imaginable — which means there are countless new challenges and opportunities for our people. If you are thinking about a career at KPMG, we think this is a great place to find out whether it’ll work for you. KPMG International is a global network of professional services firms providing Audit, Tax and Advisory services. 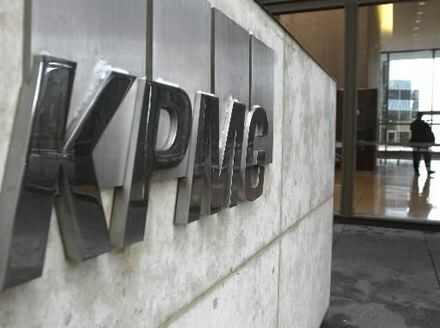 KPMG is also represented in Nigeria offering Audit, Tax and Advisory Services. There is no better place to start a career as a Professional Tax Consultant, than with KPMG. But our standards are high. Not more than 26 years. First Bank recruits for Graduate Trainee Positions in 2013- Exciting career opportunity exist for highly competent, energetic, self-motivated and dynamic fresh graduates to join the foremost financial service organisation in the country through the First Bank Graduate Trainee Programme. First Bank is Nigeria's largest and most successful tier-1 financial institution, operating from over 650 branches across the country. Driven by a vision to be the clear leader and Nigeria's bank of first choice, First Bank has continued to reinvent itself with a view to sustaining its leadership position in the marketplace on all parameters. Arik Air is West and Central Africa's largest airline operating a domestic, regional and international flight network recruits for Engineering Trainee. It operates mainly from two hubs at Murtala Mohammed International Airport, Lagos and Nnamdi Azikiwe International Airport, Abuja. Arik Air is a wholly-owned Nigerian airline with a commitment to the people of Nigeria to deliver new standards in aviation. Founded in 2002, it was the vision of Sir Arumemi-Ikhide, a leading and well-respected Nigerian businessman who understood that if business was to succeed, there needed to be efficiency and quality of service. He had spent many years travelling throughout Nigeria without the satisfaction of knowing that he could depend on the existing choice of air transport services available to him. He also recognised the importance of healthy market competition in achieving efficiency. A plan for change was soon set in motion. The Shell Graduate Programme is a development framework that enables new graduates to become fully independent Shell professionals in 2-5 years. Shell matches graduates into a particular role based on their skills, so graduates will not be required to apply for a specific Shell position.